Get the perfect gift for the person who lives to eat (instead of, you know, eating to live). But no, their love of food goes above and beyond the average human’s love of food. They live to eat, rather than eat to live. And when you think of that person, you probably think of a specific food, rather than trait, that defines them — Pickles! Pizza! Hot sauce! Well, luckily for you, we found food gifts for every type of “don’t call me a foodie” foodie in your life — from the coffee snob to the reusable straw activist, and the knife collector to the cake stalker (you know, those people who only follow cake-icing accounts on Instagram). If you get it right (you will), they’ll probably make you more meals — because, let’s be real, that’s what you’re really after, right? It is technically a mug — but don’t call it a “muggle,” because it will make you say, “What is this sorcery?” when you drink from it. 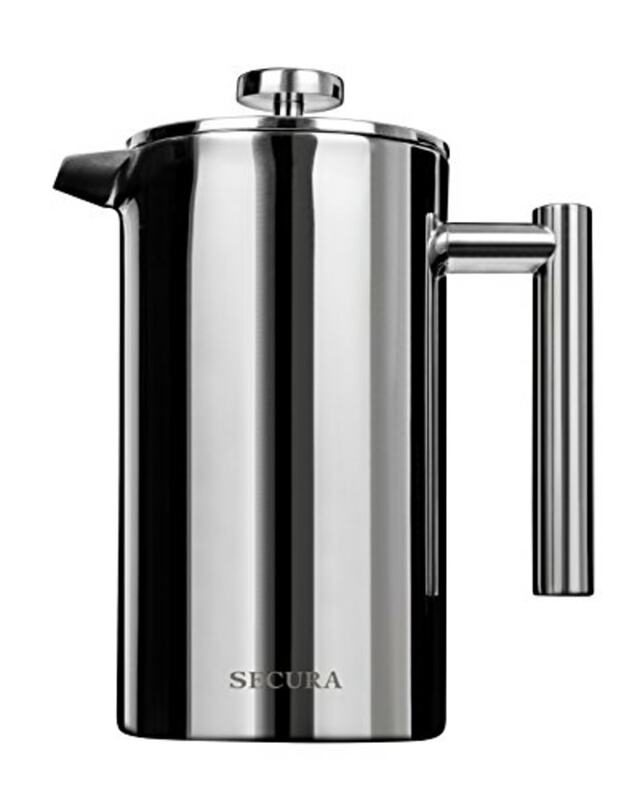 Its “stainless steel vacuum insulation” will keep hot beverages hot for an almost alarmingly long time (by the EOD it’ll still be steaming) and cold beverages cold for an equally ridiculous amount of time (ice cubes refuse to melt). Plus, its sleek, matte exterior (we love black and smoky blue) makes it an accessory anyone would be proud to carry around. 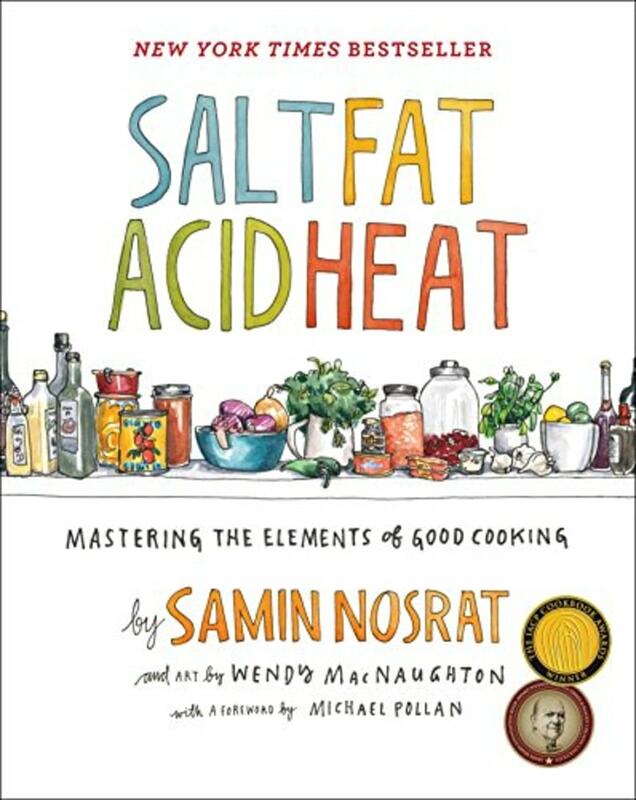 If you know someone who can’t stop talking about the Netflix series “Salt, Fat, Acid, Heat” with Samin Nosrat (and who doesn’t? ), now’s the time to get them the cookbook from which it originated. It’s a brilliant ode to the four pillars of good cooking that guides the home cook away from blindly following recipes to a T and leads them instead to confidently create delicious meals on instinct with the ingredients they already have. Your friend who has already committed to not using single-use straws already has a reusable straw — probably a metal one — and those can burn your mouth and chip your teeth. 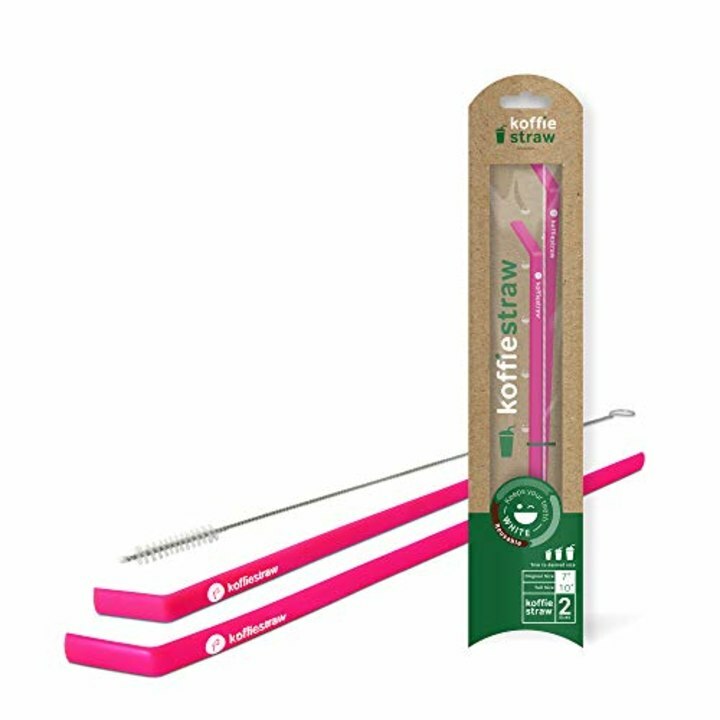 So, since friends don’t let friends burn their mouth and chip their teeth, get them the Koffie Straw. This one is made from soft silicone, is dishwasher-safe and will remain at room temperature regardless of the temperature of the drink you’re sipping. Plus, it’s much easier to carry around than a metal straw because it’s flexible and can be folded up to fit in your back pocket. And now for the wow factor: Silicone will last forever, but if you do want to get rid of it, all you have to do is burn it — it’ll turn into 100 percent biodegradable ash. Boom. 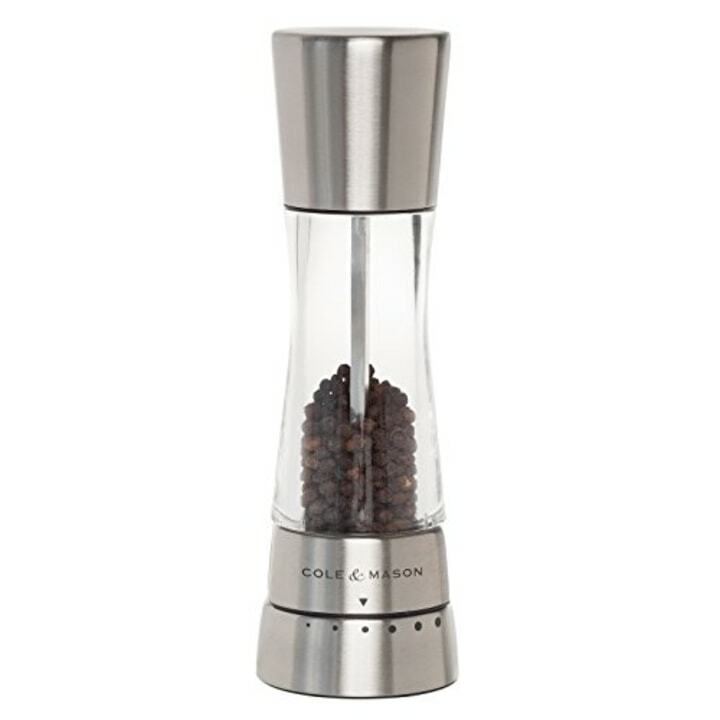 This is the pepper mill to end all pepper mills — which, to some, may not sound so exciting, but to the home cook, it’s a real game changer. There are six (six!) grinding settings — from super fine to super coarse. So, for example, you’ll be grinding some coarse pepper on your Caesar salad, then with a couple easy clicks, you’re topping your soup with a finer grind. And, while you’re at it, to really round out the gift and get the seasoning just right, grab the matching adjustable salt mill, too. The best part of waking up is the smell (and sound!) of freshly ground coffee beans whizzing away in a coffee grinder. 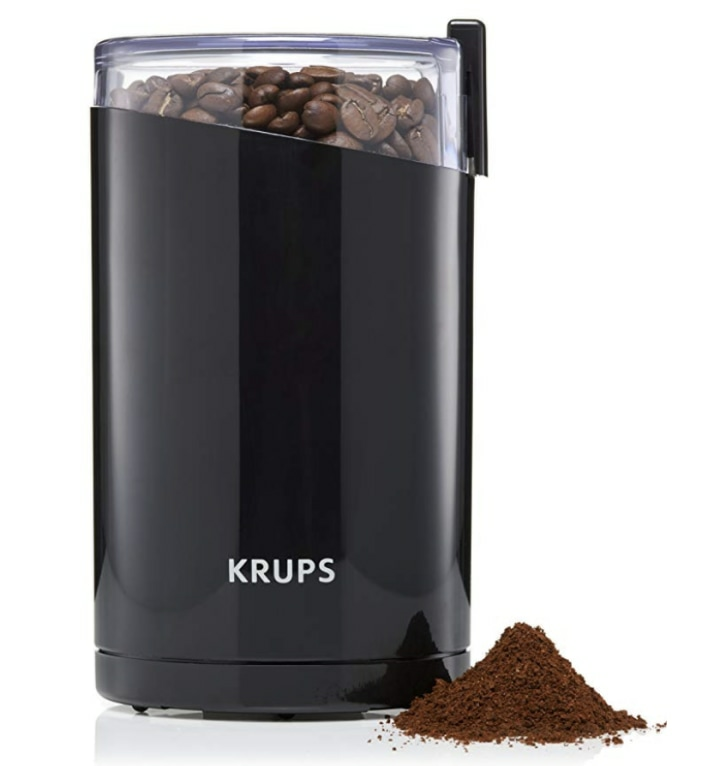 There are great manual grinders, too, but if your friend is in a rush to get to their morning cup of joe, this baby will grind their beans in under 10 seconds. And it’s not just limited to coffee beans: the blades can handle spices, herbs, nuts, grains and more. Now, where to put those freshly ground beans? In a French press, of course! The coffee that comes out is strong and flavorful — even better than your favorite barista’s. It also keeps the coffee hot for a solid amount of time. It's no surprise that it has 5 stars with over 3,400 reviews. Editor's Note: For a more budget-friendly option, check out this handmade mug on Amazon. Once your coffee is done brewing, your friend will need to pour it in a mug that's cute enough for Instagram. That’s where Marian Bull’s handmade ceramics come in handy. Her signature speckled, long-handled, perfectly imperfect mugs will brighten their morning, every morning. They’ll wish they could carry it around with them all day — and they can! Because Bull makes the cutest mug-handle necklaces, too. Editor's note: For a less expensive version, check out this one. “How? How do you not drink coffee?” you ask. 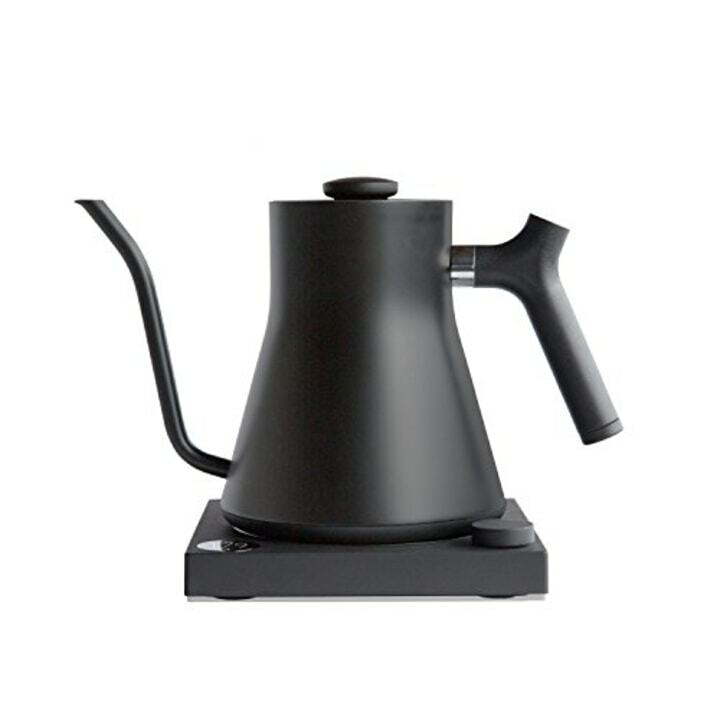 You’ll never understand it, but you love them anyway, so you get them this super chic pour-over tea kettle which has variable temperature control since different teas require different temps. (You knew that.) And, if eventually they decide to change their mind and switch to coffee, it works for that, too. 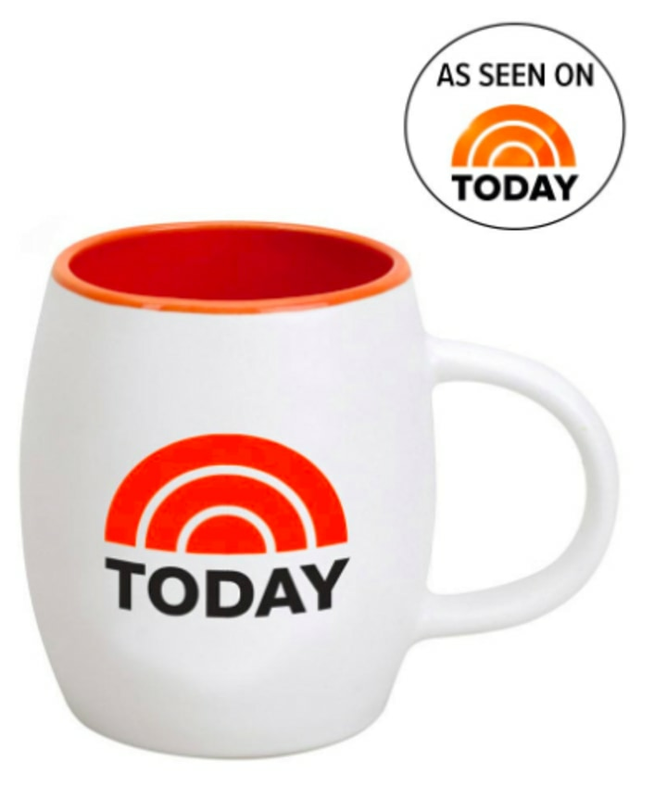 Editor's note: Don't let your friend skimp out on tea quantity, get them this TODAY Show jumbo mug so they can drink as much tea as they need in one go. Razor sharp and super lightweight, the Global chef’s knife will feel like an extension of your arm as soon as you start using it. 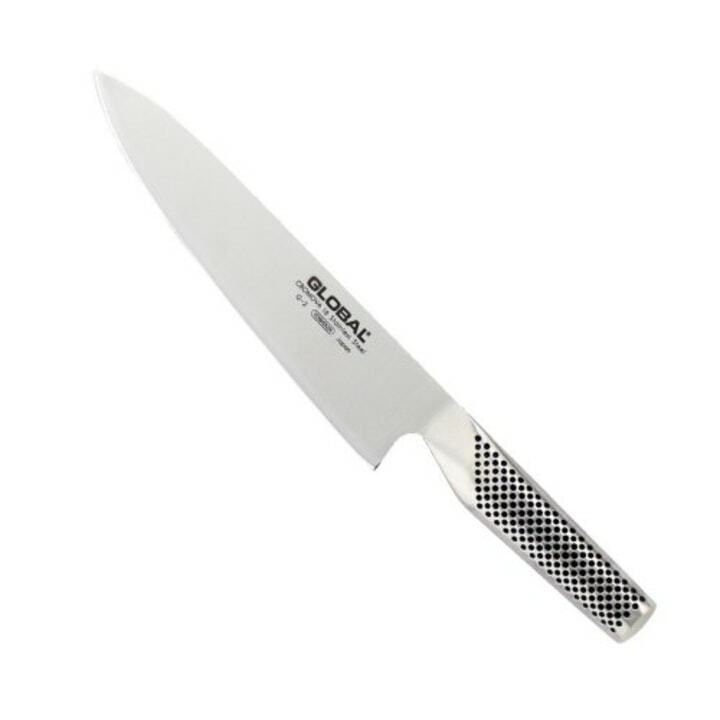 It was also a favorite of late chef Anthony Bourdain, who wrote in his memoir “Kitchen Confidential” that instead of buying knife sets, home cooks should just purchase one high-quality knife. He described the Global as “a very good Japanese product which has — in addition to its many other fine qualities — the added attraction of looking really cool." 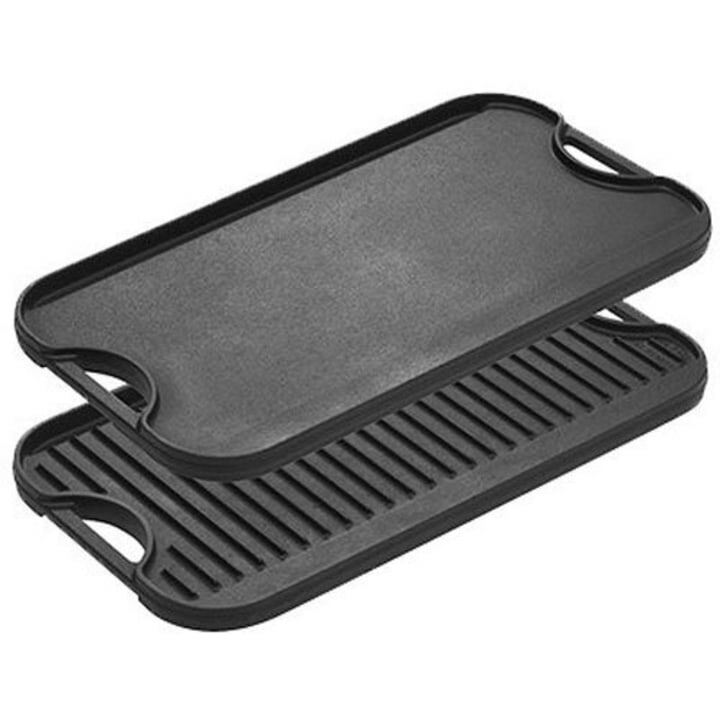 If you have a pal who likes to grill — like, nothing in the world is more satisfying to them than perfect char marks — but maybe doesn’t have the space for a grill or would prefer not to go outside when it’s freezing out, this grill-meets-griddle pan combo is the perfect solution. Make pancakes for the fam on the flat side in the morning, then flip it over to the ridged side to sear steaks perfectly at night. “Dress for the job you want,” they said. 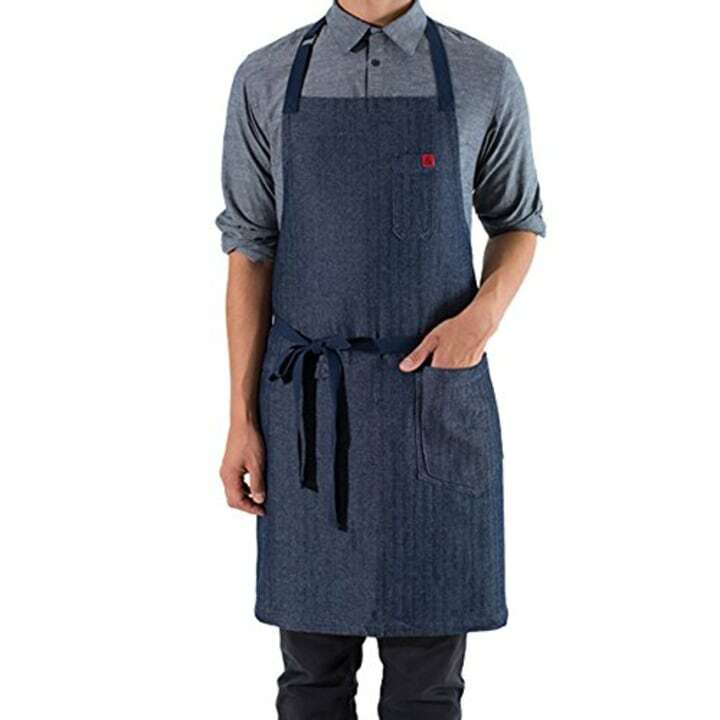 So, have your friend slip on this durable, handmade apron you got them, and here’s what they'll look like: a chef who knows what the hell they're doing and also looks super cool doing it. It also comes with lots of convenient pockets for all of the super cool tools they'll be getting from this list. Editor's Note: We also love this less expensive, but highly reviewed Lodge dutch oven from Amazon. No one should have to wait ‘til their marriage registry (which may or may not ever come) to get some solid, stylish cookware. Great Jones, a new company, aims to outfit your kitchen with high-quality cooking staples, like frying, sauce and saute pans at accessible prices. Our personal favorite item, “The Dutchess,” is a Dutch oven that's so eye catching (it comes in an array of vibrant colors — we like mustard the best), you’ll never want to put it away. Mosser’s jadeite cake stand will, without exception, elevate the appearance of any dessert that’s placed atop it. Its soft green glossiness will garner constant compliments, even if the cake it’s holding up looks less than appetizing. 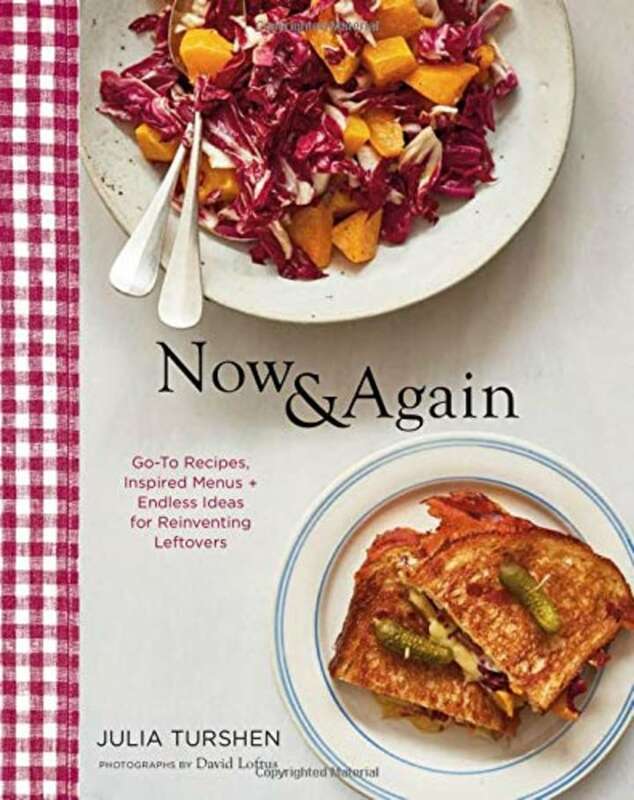 Sure, sometimes we want to spend hours on elaborate baking projects that require an absurd attention to detail (and by “sometimes,” we mean maybe once a year), but most of the time, we’re aiming for small victories (fittingly, the name of Julia Turshen’s first solo cookbook) in our cooking. We’re repurposing leftovers and reviving aging produce — and “Now & Again” makes that process satisfying — thrilling, even. ’Tis the season to, well, season. 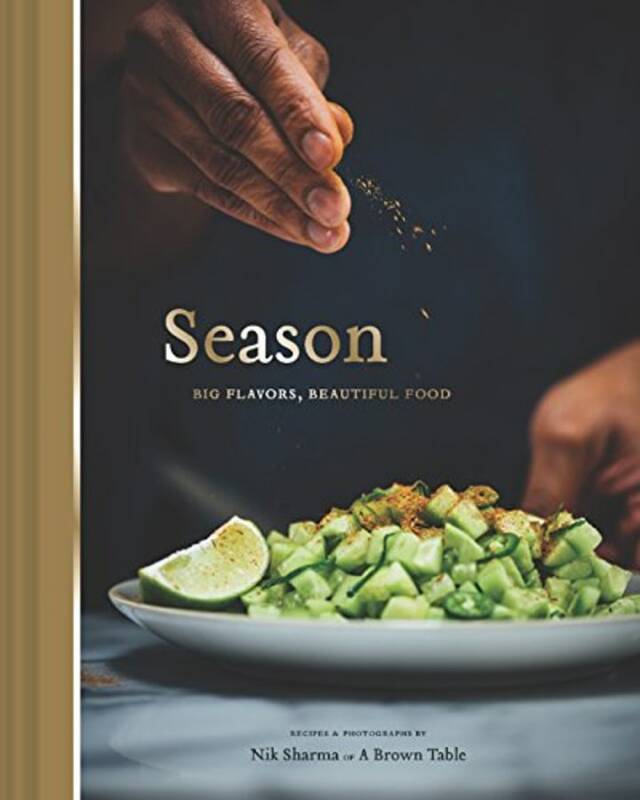 First, stock up on your spices (you’ll need all of them), then feast your eyes on this book’s breathtaking photography, then cook your way through all of it. Don’t bother dog-earing the pages because they’ll all be dog-eared — from Nik Sharma’s crispy roasted cauliflower salad with lentils, scallions and paneer to his apple masala chai cake. But beyond the food, enjoy the voice woven through the recipes: “Mine is the story of a gay immigrant, told through food” is how he begins the book. Because this is a bandwagon worth jumping on. 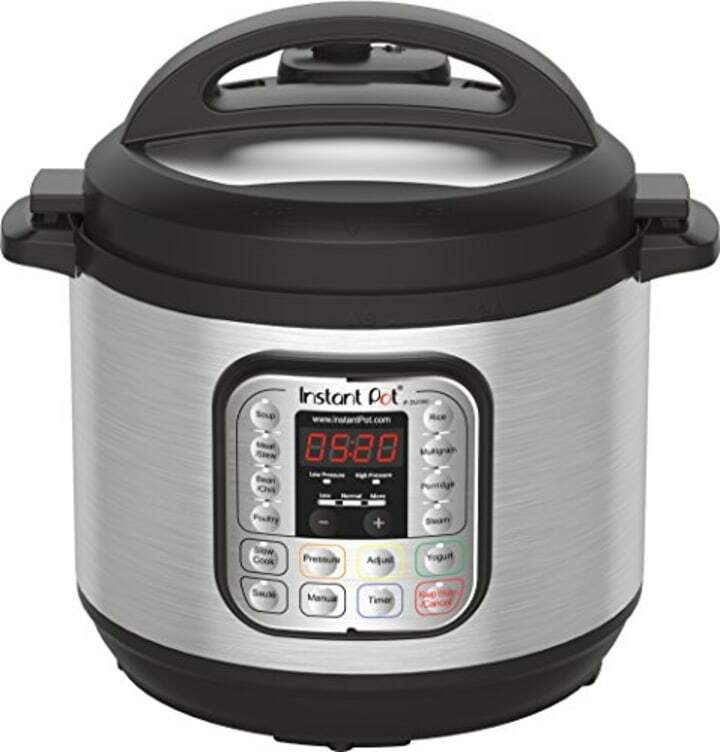 Not that it really needs any explanation at this point, but it’s one pot with eight functions — including a non-scary pressure cooker, a slow-cooker, a saute pan, a rice cooker, a steamer, you name it. And if the contraption still seems intimidating, there’s no better guide than The New York Times’ Melissa Clark and her newest cookbook, “Comfort in an Instant,” which includes a recipe for Instant Pot risotto carbonara ... so there’s that. Since one can never have too many condiments, we present Brooklyn Delhi’s Tomato Achaar, a spicy, savory, tangy Indian relish which belongs on literally everything: eggs, tacos, toast, pizza, you name it (like honestly probably ice cream, too). Once you run out of things to dip into it, we promise you will take a spoon to it. And while you’re at it, grab yourself some Curry Mustard and Curry Ketchup, too — your hamburgers, hot dogs and fries will never be the same. If you know anyone trying to spice up their pantry, look no further than NY Shuk, an artisanal food company focused on bringing true Middle Eastern flavors to your kitchen. Its Middle Eastern spice collection includes Shawarma, Baharat, Ras El Hanout, Sumac, Za’atar and Hawaij, so people can hit the ground running on making their own falafel, hummus, shawarma, shakshuka and so much more. And once their harissa collection is back in stock, you’ll want to top those dishes with all the pungent sauces and spices in it. Oh hot damn, this is our jam. Sorry. Too easy. But seriously, it is. Small-batch produced in Brooklyn, this sweet stuff is seriously addicting. We like to make our own jams, like Ina, but honestly, store-bought is more than fine in this case. They’ve got super creative flavors that go well not only on toast (the Banana Jam is amazing with peanut butter), but also in cocktails (Lemon Saffron and Rosemary Grapefruit)! No doubt you know someone who always pays extra for guac, is always buying avocados at the grocery store (maybe bread, too, because #avocadotoast), and never stops talking about “healthy fats.” This person should not be making their guac in a bowl. It’s time they upgraded to the mighty molcajete: the Mexican version of a mortar, made out of volcanic rock. Some places will try to sell you “molcajetes” made of cement. Those are not real molcajetes. Volcanic rock makes volcanic guac. 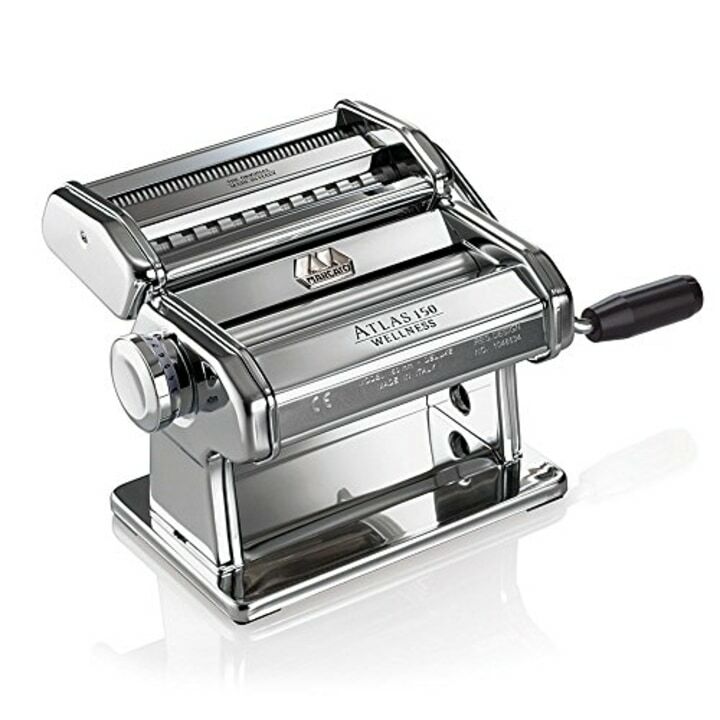 Forget the boxed stuff and just imagine the pasta-bilities with this beautiful machine. There is nothing better in this world than fresh pasta, and there’s something meditative about the whole process of mixing the egg with the flour, kneading the dough and hand-cranking your own sheets — like, for a brief period of time, you’re actually the chef of a little trattoria in Italy ... and this machine is the best assistant you could possibly ask for. But, you know, that whole hands-on thing isn’t for everyone, so the next best thing would be Sfoglini’s Seasonal Pasta Subscription — boxes on boxes of Brooklyn-made pasta made with locally-sourced ingredients like beet, sriracha and mint. We turned to Anthony Falco, pizza consultant of Roberta’s fame (he has a pizza named after him there: “The Millenium Falco”), for his advice in this category, and he said that he prefers baking steel to baking stones: “I like [steel] because it’s indestructible, versatile and acts as a fantastic thermal battery with great heat regeneration for making pizza on. The pro move is to put the baking steel on a lower rack, and then line the top with cheap unglazed quarry tiles from any home improvement store. So you make a little oven within an oven. 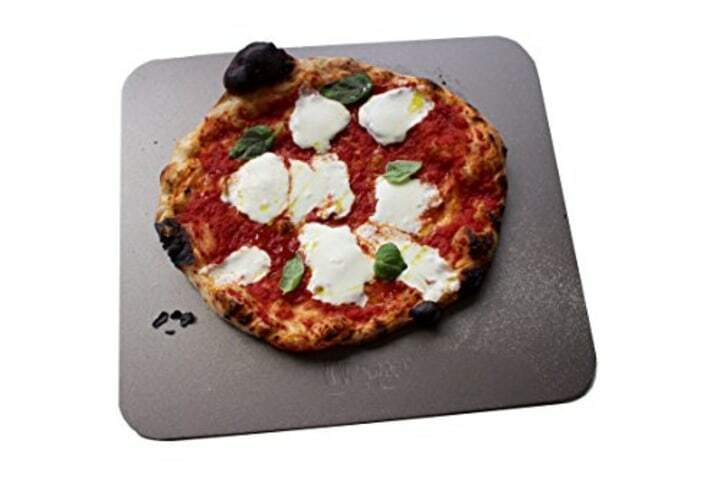 With radiant heat coming from the top and a super hot steel for cooking the pizza on.” Sold. Jerky: Either you love it or you hate it. But those who love it are head-over-heels for it — in car rides, smuggled into the movies, as protein pick-me-ups at work, really anywhere. But as true jerky aficionados know, all dried meat products are not created equal — and JoJo’s is the real deal, using all-natural ingredients and no preservatives, with in-your-face flavors ranging from spicy Thai chili to spicy carne asada. 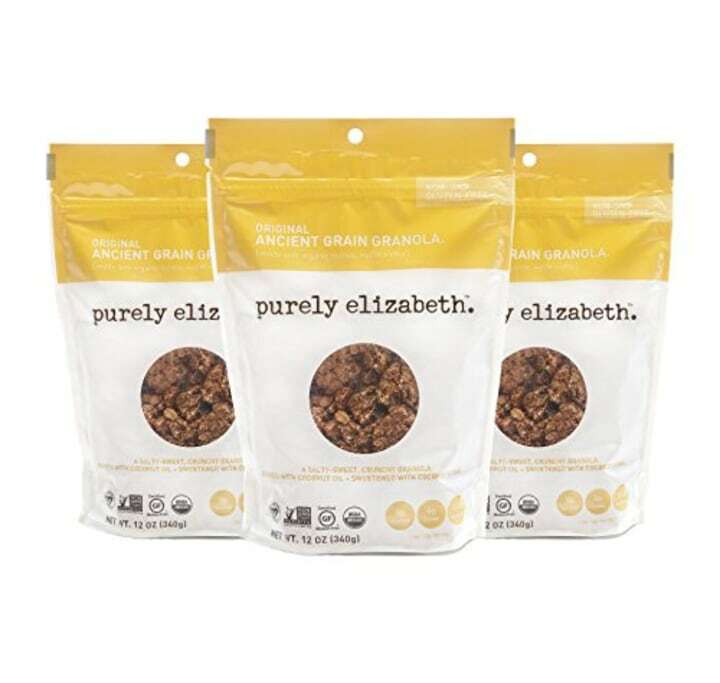 A super crunchy granola for an equally crunchy friend. This stuff is addicting. But not guiltily addicting, since it’s made from things that sound healthy like quinoa, millet and chia, sweetened with coconut sugar and baked with coconut oil. All around, it's a super satisfying stocking stuffer. As any true turophile knows, one knife does not fit all when it comes to cheese. So, the best thing you can do for that person you know who may or may not be a mouse is to equip them with the trifecta of cheese knives: a cheese plane for shaving even slices of semi-hard or hard cheese; a thin blade for clean-cutting into soft cheese, and a cheese spade for hacking into hard, crumbly cheese. For any rosé wine lover, there is nothing worse than room temperature wine and nothing better than a perfectly chilled glass of rosé. So, take their day from zero to 100 with this white marble wine cooler that will not only chill the wine quickly but keep it chilled for as long as you need to finish it — and look incredibly chic while doing so. And, while you’re at it, throw in a Drop Stop so no drop of wine goes undrunk. If you’ve ever been on Instagram, you’ve undoubtedly seen Brittany Wright’s (aka @wrightkitchen's) bright, eye-catching, aesthetically pleasing photographs of food gradients — think citrus, toast, tomatoes, eggs and all of the lovely produce you can imagine organized in an incredibly satisfying ombre manner. It would be a dream come true for any farmers market frequenter to own one of Wright’s works, so their Instagram feed can be become their real-life wall art. For a few less expensive options, check out this coffee print and this chili pepper one from Society6. 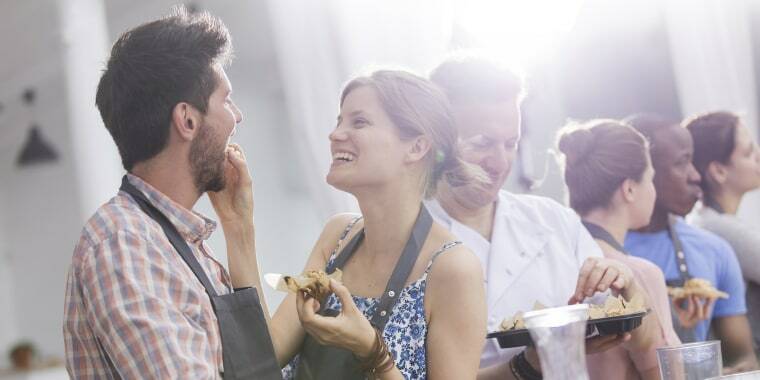 We all know someone who’s a bit of an experimenter in the kitchen, who doesn’t repeat recipes, who loves foam and molecular gastronomy, and who is constantly eager to try the latest and greatest culinary gadget. Their next gadget, then, should be this sous vide. 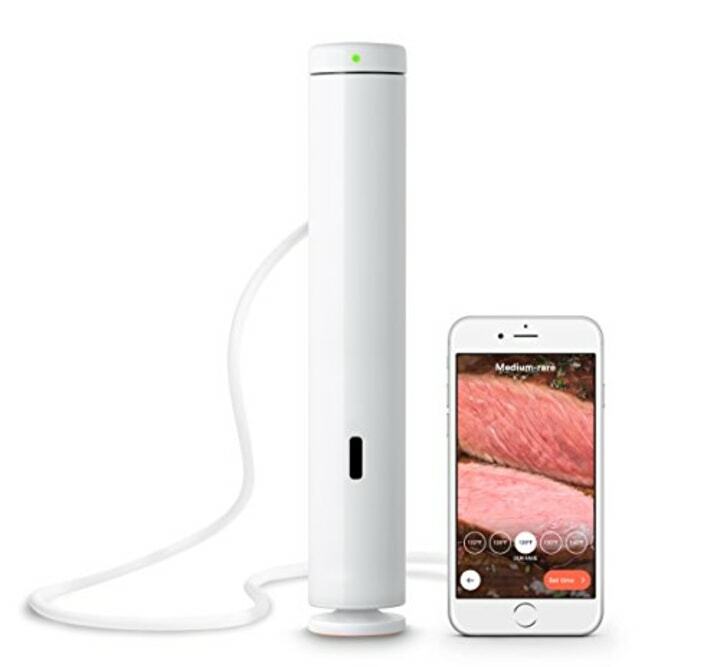 By pairing with your phone and gently heating up any vacuum-sealed protein in water, this device will consistently deliver any user perfectly cooked steak, chicken, pork, fish, and whatever their heart — well, stomach — desires. Oh, and while you’re at it, you might want to grab them a lab coat to wear while they use it.